David Parrish has been invited to lecture on a new creative industries course at Vilnius University Business School in Lithuania, which will award students with a Masters Degree in Creative Entrepreneurship. This new creative industries course has been designed for creative entrepreneurs and will focus on product innovation and development. The objective of this MSc in Creative Entrepreneurship is to provide students with a broad range of innovation and change management knowledge, as well as develop their skills to engage into product innovation development, financing, and commercialisation processes. Vilnius University has invited David to share his worldwide experience of creative entrepreneurship, which is a combination of his own background in creative industries management, his work as a business adviser with creative and digital businesses, his academic training, and his own personal story. David’s books are recommended for students on this creative industries course. During his visit to Vilnius, David will also give presentations at other events, meet creative and digital entrepreneurs and give media interviews. 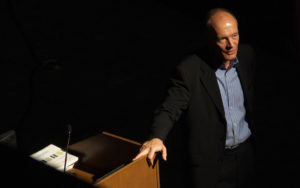 David Parrish is often invited to give university lectures as a guest lecturer; he also works on other projects at universities around the world. “David’s talk about the importance of Strategic Marketing was inspiring and insightful. David works with Universities around the world, giving university lectures, advising universities on curriculum development, delivering workshops and signing books for students. He is often a creative industries course guest lecturer. His various projects with universities around the world include the following examples from Azerbaijan, Belarus, Bosnia & Herzegovina, Brazil, Chile, China, Colombia, Estonia, Lithuania, Moldova, Morocco, Netherlands, New Zealand, Portugal, Spain, Thailand, the United Kingdom and Vietnam. Zivile Sedereviciute-Paciauskiene, Dean of the Faculty of Creative Industries. Vilnius Gediminas Technical University, Lithuania. David’s book ‘T-Shirts and Suits: A Guide to the Business of Creativity’ was first translated and published in Spanish by the Universidad de Bogotá Jorge Tadeo Lozano in Colombia. David also delivered a presentation for students and advised senior staff on including entrepreneurship within the curriculum for creative subjects. David was invited by the Auckland University of Technology in New Zealand to advise on developing creative entrepreneurship modules for students. ‘a-Creativity and i-Creativity for Business Success’. The Baltic Film, Media, Arts and Communication School at Tallinn University, Estonia invited David to give a guest lecture to students on the subject of ‘How to be a Creative Entrepreneur’. 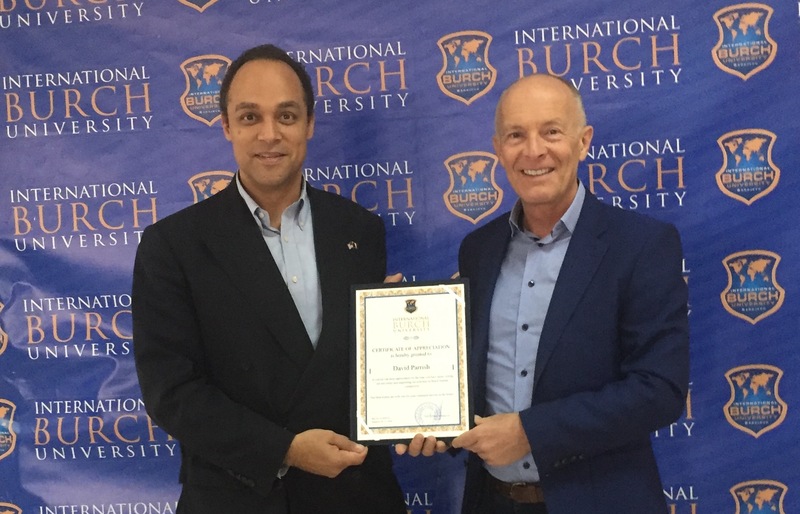 At International Burch University in Sarajevo, Bosnia & Herzegovina, David gave a guest lecture on ‘Entrepreneurial Marketing’ to students in the university’s startup incubator. David was engaged as an international expert and lecturer on marketing at the Business School of Telfort Business Institute in Shanghai, China. David was invited as an international guest lecturer to give a lecture entitled: “T-Shirts and Suits: How to combine creative talent with smart business thinking” at Faculty of Creative Industries at Vilnius Gediminas Technical University in Lithuania. At the HCMC Univ of Architecture, in Ho Chi Minh City, Vietnam, David was an international guest lecturer. David gave a presentation to students at the prestigious Academy of Economic Studies in Chisinau, Moldova. David was the guest speaker at an academic meeting about creative business and business models in the creative industries at the Faculty of Business Administration, Chiang Mai University, Thailand. At the Belarus State University in Minsk, David gave a university guest lecture on combining creativity with business to students, using a presentation featuring creative entrepreneurs from Vietnam, Brazil and the UK. At the University of the Arts in London, United Kingdom, David was the guest speaker on business and creativity at the graduation event for students. David was a special guest lecturer at the Universidade Federal Fluminense in Brazil, where he spoke about business models in the creative industries. At Liverpool John Moores University in the UK, David gave a lecture to digital marketing students on ‘Marketing Mistakes they Make’, outlining common digital marketing and strategic marketing mistakes made by many companies and organisations world-wide. In Portugal, at the Catolica University in Porto, David gave a special lecture to MBA Students at the beginning of their course. His TEDx talk in Morocco was a student-led event at ENCGJ University in Al Jadida, Morocco. He developed a module and delivered a workshop on Change Management for the Australian National University and Thames Water International for international executives. He provided Leadership and Management training for the ‘Grow Creative’ programme for senior executives of creative and digital businesses at Lancaster University in England. He also developed and delivered the ‘Leading Creative Cultures’ module and a workshop on ‘Leadership: Culture and Strategy’. 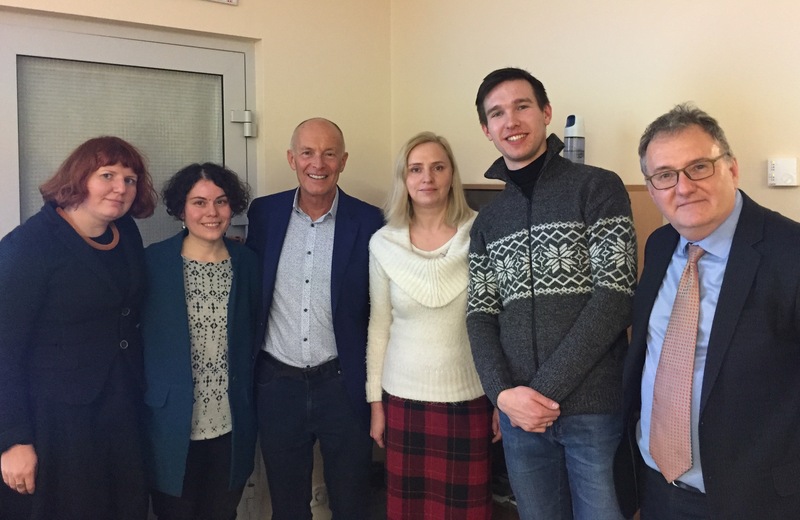 David was a guest lecturer at the ISM University of Management and Economics in Vilnius, Lithuania. He spoke about ‘Creativity and Business’ when his book was published in translation in Lithuania. He was the guest speaker at an Impulse Night event for creative entrepreneurs and students at CMKBU in Utrecht, Netherlands. David has also presented university lectures at the Universidad Austral de Chile, in Valdivia, Chile and at the University of Deusto, Bilbao, Spain. “David Parrish’s unique ability to get groups to think about business in a broad and creative manner is refreshing and stimulating. Our group was inspired by David’s talk which included excellent business examples of how change could trigger new opportunities and helped us to understand and reflect on the power of vary business systems that are currently relevant to any business operations”. 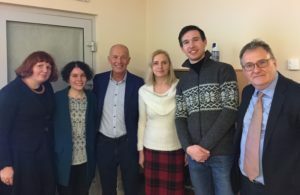 “At the workshop, Mr. David Parrish exposed us the Businesses which had become real due to his guidance as well as the concept of Latin American “Orange economy”, so that it was an excellent start to thinking of our own new model in Moldova – Sunny Grape Economy clustered in Creative Industries that Mr. Parrish successfully promotes”. Zorina Shishcan, Associate Professor, Ph.D. Department of International Economic Relations, Academy of Economic Studies of Moldova. one of Europe’s leading business schools. See full details of David’s qualifications and publications. See Videos of some of David’s speeches, lectures and presentations. He specialises in university lectures on creativity, strategic marketing, digital marketing, international business, creative entrepreneurship and leadership. His lectures include case studies from his research, from his own experience of starting up and growing businesses, and from his work advising businesses. David has worked in more than 50 countries in his capacity as a management consultant, speaker and trainer. He specialises in advising high growth design, media and technology businesses. David is a top speaker at conferences, summits, conventions and other events world-wide. He is often a creative industries course guest lecturer. David was engaged as a lecturer in marketing and international business at a business school in Shanghai, China. He has also worked with universities in Azerbaijan, Belarus, Bosnia & Herzegovina, Brazil, Chile, Colombia, Estonia, Lithuania, Moldova, Morocco, Netherlands, New Zealand, Portugal, Spain, the United Kingdom and Vietnam. In his university lectures in Azerbaijan also included one at ADA University in Baku. David spoke about a range of business models that can be used in the creative industries and provided examples from his work with creative entrepreneurs around the world. David is a popular, inspiring and entertaining keynote speaker at conferences and events world-wide. He is one of the most respected international creative industries keynote speakers on creative enterprise, the creative economy, the creative and digital industries, cultural enterprise and creativity in business. As a qualified marketing expert, David speaks about creative marketing, international marketing, marketing strategies, digital marketing and international business. David is the author of two books on creative business and strategic marketing. His highly-acclaimed books are available as paperbacks, eBooks and in Audiobook format. His books have been published in ten countries around the world. David’s signed books can be made available for students and staff when David gives university lectures. His books are ideal textbooks for any creative industries course. 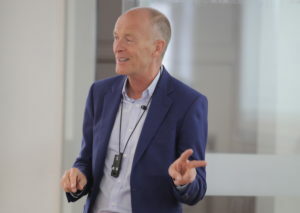 He is a British expert in creative industries and delivers keynote speeches at conferences and other events for creative, digital and cultural enterprises, policy makers, creative industries support organisations, creative hubs, creative startups, creative cities, and creative businesses in other sectors. He brings his experience of working with design, media and technology businesses to his speeches. David remains in touch with business issues and innovative growth models through his work as a business adviser, leadership coach and marketing consultant. His speeches include examples of successful creative businesses and creative industries support projects worldwide. Some of these case studies are published as ‘Ideas in Action’ articles in his books and as free downloads from his website. David continuously increases his knowledge of business models, marketing methods and international business techniques from his ongoing international work. He is often a creative industries course guest lecturer. David often gives university lectures, speeches and presentations on the subject of International Business. He speaks about creativity, international marketing, strategic marketing, digital marketing, business etiquette and global business. His stories and case studies draw on his own extensive international experience in creative industries consulting and research. These are most appropriate for any creative industries course.